The San Francisco Pipers' Club will host the 2019 West Coast Tionól on February 15-17, 2019 (Presidents' Day weekend). The weekend will be a celebration of the 40th anniversary of the club, with workshops, a concert and sessions. Kara Doyle and a special guest from Ireland will be the guest pipers. 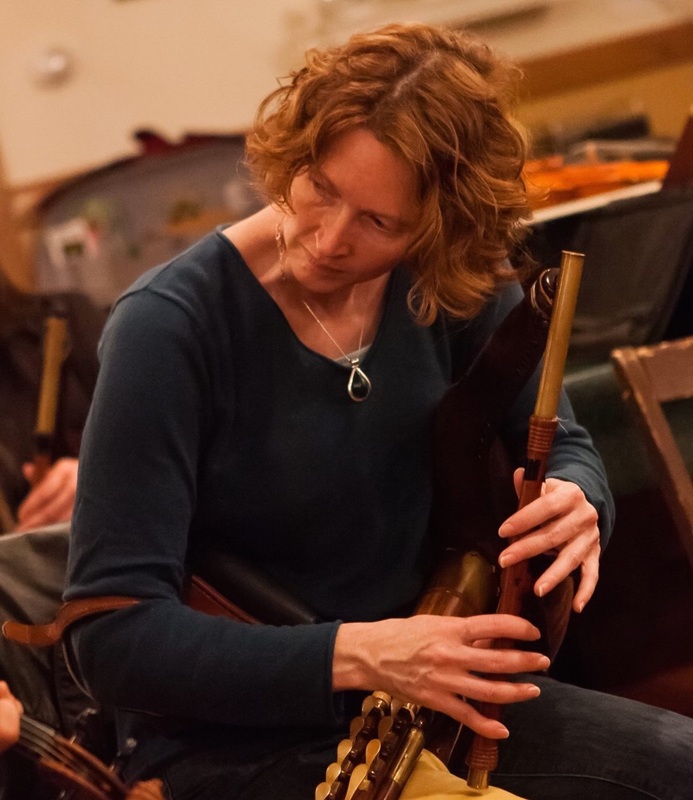 A concert featuring Kara Doyle, Todd Denman, and other guests, will be held on Saturday evening, February 16, at 8:00pm at the Freight & Salvage in Berkeley. Doors open at 7:00pm. Tickets for the concert are available from the Freight website for $18 or at the door for $22 (plus fees). The tionól kicks off on Friday evening with the usual gathering at the Heelan residence. Saturday and Sunday classes will be held at Cathy Chilcott's residence (address given on request). Classes will be offered for pipes only. The registration fee is $100 and will be collected at the event. This does not include a ticket to the concert. If you have questions or need more information, send mail to tionol@sfpipersclub.org.